If the Italians had been able to elect the president of the Republic by direct universal suffrage they would have appointed former European Commissioner for Fisheries, Consumer Policy and Health (1995-1999), Emma Bonino. This is what the polls showed in any event on the eve of the election of the Head of State. But in Italy the head of State is elected by a college of grand electors. Traditionally the political parties appoint a person on whom they have come to a pre-vote agreement to this post. But the parliamentary elections on 24th and 25th February last caused a far reaching political crisis and it was only after six rounds of voting and many dramatic turns of events that the grand electors responsible for appointing the head of State finally re-elected outgoing President Giorgio Napolitano as President of the Republic of Italy. This was an all time first. We should recall that more than eight weeks after the parliamentary elections Italy still has no government. The Democratic Party (PD) led by Pier Luigi Bersani enjoys a majority in the Chamber of Deputies but not in the Senate. Since Italy is a country with bicameral equality (both chambers enjoy the same power), a party (or a coalition of parties) must absolutely hold the majority in both of the chambers if it wants to govern. The Five Stars Movement (M5S) led by Beppe Grillo has rejected forming any alliance with the left and the latter has rejected the offer made by the People's Freedom Party (PdL) led by Silvio Berlusconi. For his part, the latter has said he supports the formation of a grand coalition (governissimo) with the left. "Either we form a strong, stable government or we should give the choice back to the Italians and have them vote again in June," declared Silvio Berlusconi on 13th April last. "No grand coalition" answered Pier Luigi Bersani who says "that this would not be the right answer to give to the country's problems." The presidential election started in Italy on 18th April last. Before the first round of voting the Democratic Party led by Pier Luigi Bersani and the PdL led by Silvio Berlusconi agreed on the name of Franco Marini, former Secretary General of the Italian Confederation of Workers' Unions (CISL). "Franco Marini is the most likely candidate to bring about the greatest consensus. He is a straightforward, generous person, one of those who built the centre left associated with the work and social spheres. Franco Marini will be able to ensure the convergence of both centre right and centre left forces," declared the leftwing leader. For his part the Cavaliere said, "We believe that this is the best possible solution at this time. He is a positive, serious person the choice of whom does not mean defeat for us. He has always behaved loyally and decently." Silvio Berlusconi said he was prepared to support a candidate from the left to the presidency of the Republic if that person was not hostile to him, and if he would guarantee him legal immunity. Indeed Mr Berlusconi faces prosecution on three counts: tax fraud, abuse of power and the prostitution of minors. It was in vain. In the first round Franco Marini won 521 votes, academic and former leftwing MP Stefano Rodota, put forward by M5S won 240. One hundred of the grand electors voted blank or invalidated their vote. "Voting for Franco Marini would not be doing the country a favour," declared the Mayor of Florence Matteo Renzi (PD) who qualified the former union leader as "the candidate from the last century". In the second and third round of voting, in which the candidate absolutely has to win a 2/3 majority of the vote in order to be elected, the Democratic Party voted blank hoping to reach the fourth round without a victor to then witness victory for its candidate with an absolute majority. But because it had no candidate the PdL did the same. In the fourth round, Pier Luigi Bersani changed his strategy and rather than continue looking for an agreement with the right he said that he wanted former President of the European Commission (1999-2004) and former President of the Council (1996-1998 and 2006-2008) Romano Prodi to become the President of the Republic. This was an unacceptable choice for Silvio Berlusconi: Romano Prodi is indeed the only politician to have beaten the Cavaliere twice: in the parliamentary elections on 21st April 1996 and 9th and 10th April 2006. For its part M5S still supported Stefano Rodota. In spite of the agreement made on the left Romano Prodi only won 395 votes in the fourth round ie 100 less votes in comparison with the number of votes held by the left and 9 less than the simple majority in force in the fourth round. Stefano Rodota won 213, outgoing Interior Minister Anna Maria Cancellieri, supported by the Civic Choice List of outgoing President of the Council Mario Monti 76 and former President of the Council (1998-2000), Massimo d'Alema, 15. Only 732 grand electors took part in the vote, since the PdL asked its members to abstain. "They chose Romano Prodi and we believe that this was an act of aggression," declared Fabrizio Cicchitto, MP. "Romano Prodi is not neutral, he is a man who divides. This means that the fundamental conditions are not there to come to an agreement on government," stressed Renato Brunetta, leader of the PdL's parliamentary group in the Chamber of Deputies. After the fourth round, which was a real setback for Bersani the leftwing leader, Matteo Renzi, who was against the former president of the Council, said "Romano Prodi no longer exists as a candidate." Finally in the evening of 19th April Romano Prodi, who was on a trip to Bamako as part of his work as UN Special Envoy for Mali and the Sahel and therefore absent during the election, announced that he was withdrawing as a candidate. On 20th April during the 5th round of voting the main political parties decided not to participate (PdL and PD) or to vote blank (Northern League). In all 462 grand electors voted blank or invalidated their vote. In the end the Democratic Party leader Pier Luigi Bersani announced that he would resign as leader of the PD as soon as the new President of the Republic was elected. "One in four of us is a traitor, I find this unacceptable," he declared. Finally on 20th April there was a dramatic turn of events: outgoing President of the Republic Giorgio Napolitano accepted to stand for a second mandate as head of the country under the pressure of most of the political parties (PdL, PD, Civic Choice List and the Northern League) who admitted they were incapable of appointing his successor. "I believe that it is my duty to make myself available as was requested of me. I am moved by the feeling that I cannot withdraw from the responsibility I owe to the nation and I am confident that this will be matched by a similar collective assumption of responsibility," declared Giorgio Napolitano who however had qualified his decision not to seek a second presidential mandate as "irrevocable". The outgoing head of State was re-elected by 738 votes in the sixth round of voting. "It is an important day for our Republic. I thank President Giorgio Napolitano for his sense of duty and his personal and political generosity which led him to making further commitment at a time as difficult and as uncertain as this," declared Silvio Berlusconi. Those supporting M5S protested vehemently and shouted "Idiots, idiots!" and even "vShame! [/i]" Beppe Grillo condemned the fact that Giorgio Napolitano was running as a candidate, which he qualified a "coup d'Etat", calling on his supporters to demonstrate outside of parliament. "I really do hope that in the next few weeks and over the next few days all of the parties will assume their duty with the aim of consolidating the State's institutions," indicated Giorgio Napolitano in his first declaration after his re-election. 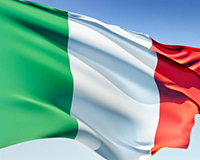 Observers of Italian political life agree that the head of State might resign as soon as the present political crisis is solved or is at least more settled. In Italy the position of President of the Republic is a mainly honorary. The Guarantor of the Constitution and of the country's unity, he has two main powers: he can dissolve Parliament (except in the last quarter of his term in office) and he can reject a bill put forward by the deputies or the senators for two reasons (if he deems that the text is anti-constitutional or if he believes that it is not adequately funded). Carlo Azeglio Ciampi used this power against a bill on the concentration of the media in 2003 and a second time against a reform of the legal system in 2004. Giorgio Napolitano demonstrated the importance of his role in November 2011 when after Silvio Berlusconi's resignation he decided not to convene early parliamentary elections and chose to appoint Mario Monti to the presidency of the Council. "Democracy assassinated, Giorgio Napolitano transforms Italy into a Presidential Republic" read the headlines in the daily Il Giornale, which it happens belongs Silvio Berlusconi. The President of the Italian Republic is elected by secret ballot for seven years by a college of grand electors comprising 630 members of the Chamber of Deputies, 315 senators and 4 life senators, and 58 representatives of the country's 20 regions (3 per region except for the Aoste Valley which only appoints one) ie a total of 1007. In the first three rounds a candidate has to win at least 2/3 of the vote ie 671 votes. In the fourth round the simple majority (504 votes) is enough. Tradition has it that the President of the Republic should be a man of consensus who rallies people beyond the political parties. He usually rallies the votes of most of the grand electors to his name. In 2006 however the presidential election was greatly contested and Giorgio Napolitano was elected by the votes of the leftwing grand electors only. Finally the head of State only traditionally governs for one term in office. "None of the nine Presidents of the Republic who preceded me have ever been re-elected. I think that it has become a significant custom that should not be broken. In my opinion the renewal of a long seven year mandate is not really adapted to the republican features of our country," indicated Carlo Azeglio Ciampi, answering a number of personalities from the left and the right who in 2006 wanted him to stand again for Presidency. Giorgio Napolitano is therefore the first Italian head of State to have been re-elected to lead the peninsula Soon to be 88 and originally from Naples he joined the Communist Party (PCI) after the Second World War. Elected as MP in 1953 he has always featured amongst the party's moderates. Former leader of the Chamber of Deputies (1992-1994), he was Interior Minister in the first government led by Romano Prodi (1996-1998), then he was MEP (1999-2004). In 2005, he was appointed by his predecessor Carlo Azeglio Ciampi as a life Senator in reward for the services he made to the State. On 8th May 2006 he became the first former communist to accede to the position of President. After failing to form a government following the elections on 24th and 25th February last the Democratic Party did not succeed in promoting the election of its candidate to the presidency of the Republic. It has also lost its leader since Pier Luigi Bersani announced that he was resigning as head of the party. "The only advice we can give to the Democratic Party is to avoid further parliamentary elections at all costs because it will be quite easy for its rivals to take the pickings from a party that is firmly pointing towards collective political suicide," published Antonio Padellaro, director of the newspaper Il Fatto Quotidiano on 20th April. "The Republic is hanging over a void" read the headlines of the Italian daily the Corriere della Sera. Finally La Repubblica condemned the "mediocrity of a leading group and of a parliamentary class that no longer has any response, not even the instinct to survive." Francesco Marchiano, an editorialist for the Huffington Post Italia, the presidential election was "one of the worst ever seen in Italy." It is now up to Giorgio Napolitano to work towards finding the most favourable solution to the political crisis that the peninsula is experiencing. Will the President of the Republic ask the parties to try and form a government or will he decide to convene elections for the 47 million Italian voters? The Chairman of the General Confederation for Italian Industry (Confindustria), Giorgio Squinzi, maintained that the "50 days plus of total inertia since the parliamentary elections on 24th and 25th February have led to a one point contraction in Italy's GDP." According to the most recent poll undertaken for the RAI by SWG and published on 5th April last, if there were to be another election the PD would win 25.5% of the vote, the M5S 25.4%, and the PdL 25%. Silvio Berlusconi has already said that he would stand for the Presidency of the Council if there were new elections, "a great, yet rather painful responsibility that I cannot turn away from," he indicated.